Firedog spent over four years as communications agency for global energy business, Saudi Aramco. 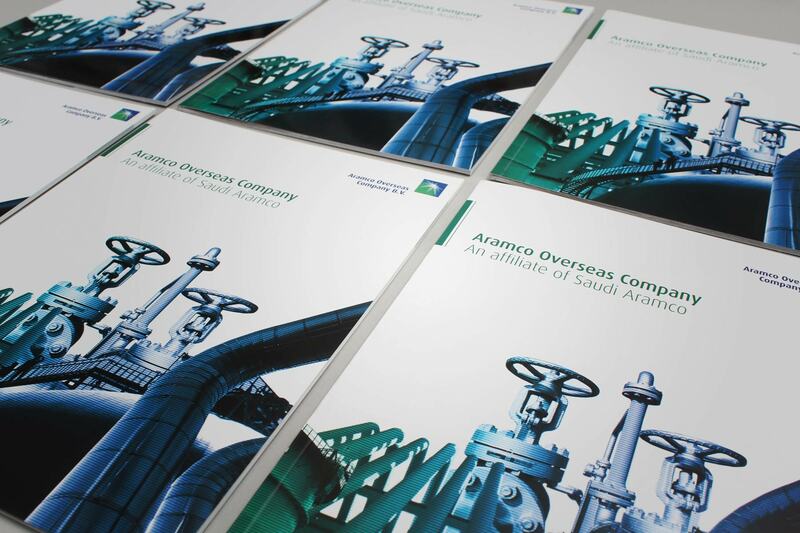 Our core goal was to create engaging campaigns and communications for their European logistics business unit AOC (Aramco Overseas Company). Aramco Overseas Company B.V. (AOC) is a subsidiary of the Saudi Arabian Oil Company (Saudi Aramco), based in The Hague, the Netherlands. 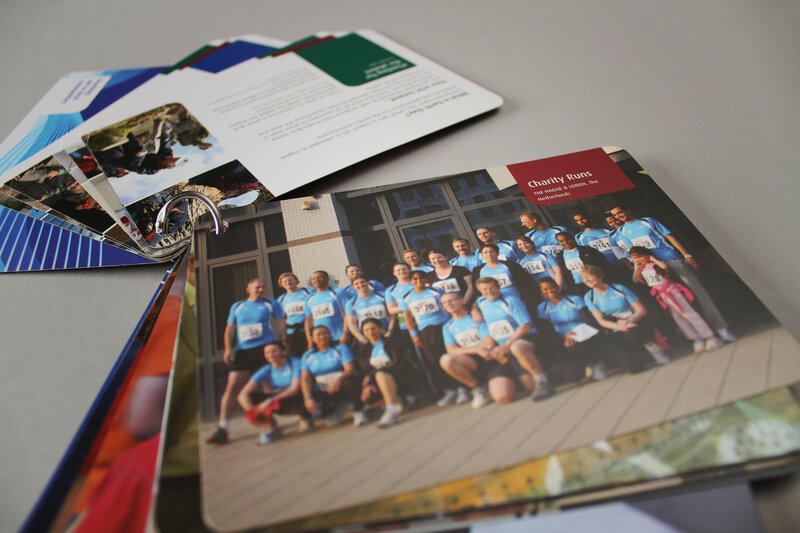 We were responsible for the entire communications design remit including a corporate brochure, a history brochure, engagement campaigns as well as a retiree’s quarterly periodical. Aramco Overseas Company B.V. (AOC) is a subsidiary of the Saudi Arabian Oil Company (Saudi Aramco), based in The Hague, the Netherlands. 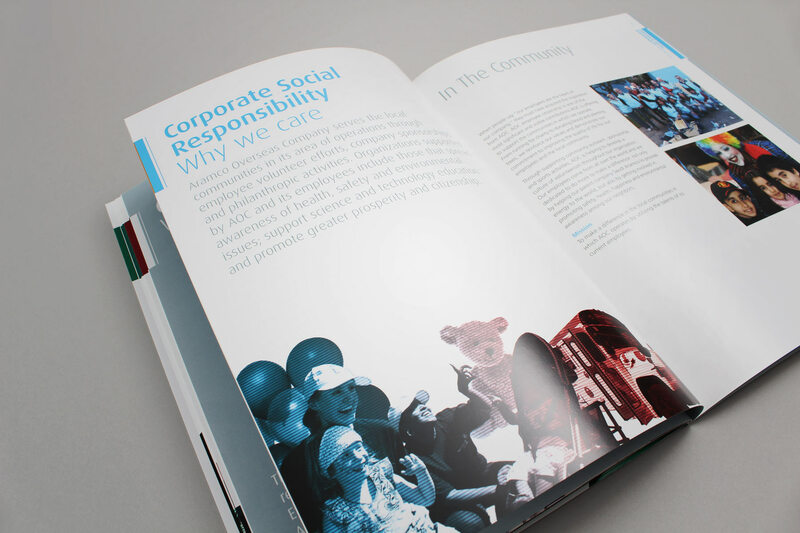 The flagship corporate publication combines clean white space with spot varnished bespoke imagery. 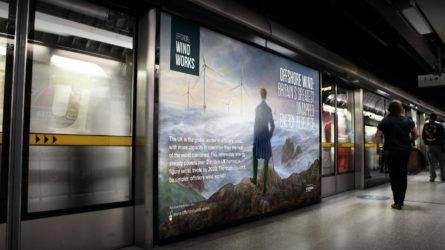 The clean layouts contain both the industrial and human sides to the corporate message. 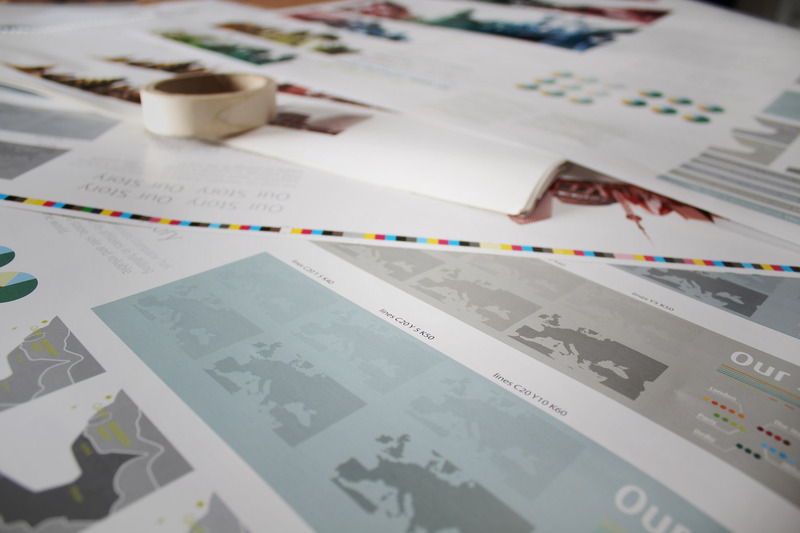 All content for the brochure was carefully wet proofed - A process whereby all print colours can be measured as if coming straight off the press - By using a proofing press. 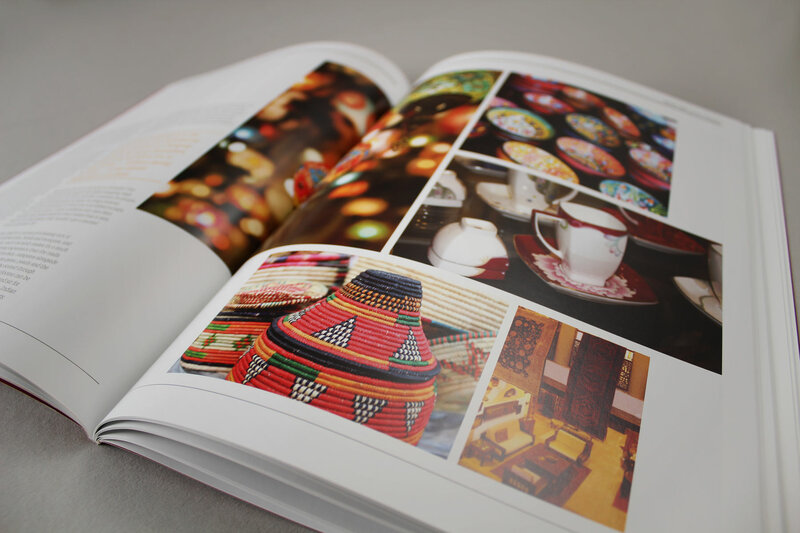 A key part of the publication was to communicate the values behind the Saudi culture. We created charts and diagrams to convey geography and sociology. 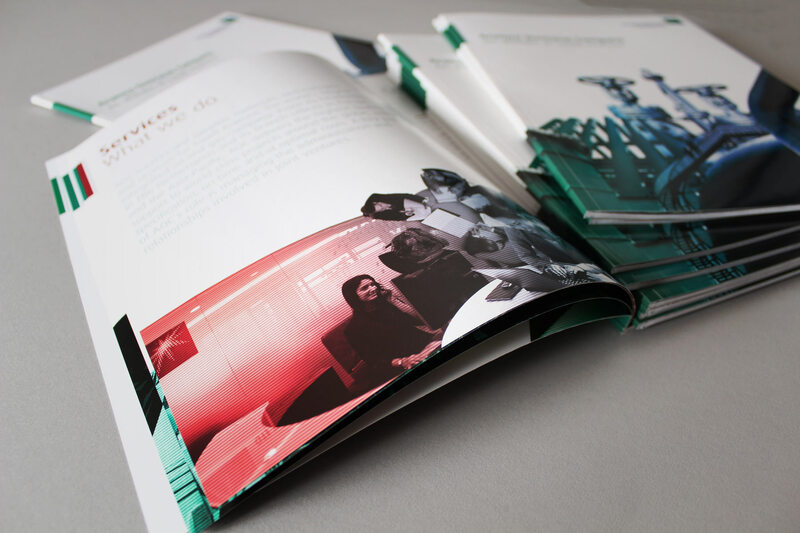 The final 48 page publication blends a cohesive corporate communication with a striking supporting image suite. 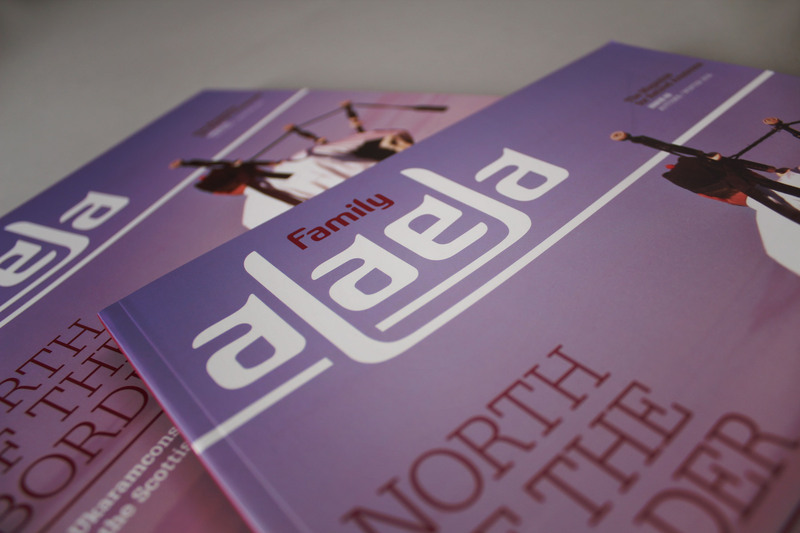 The Alaela masthead has been carefully crafted, to capture both a western and eastern feel. 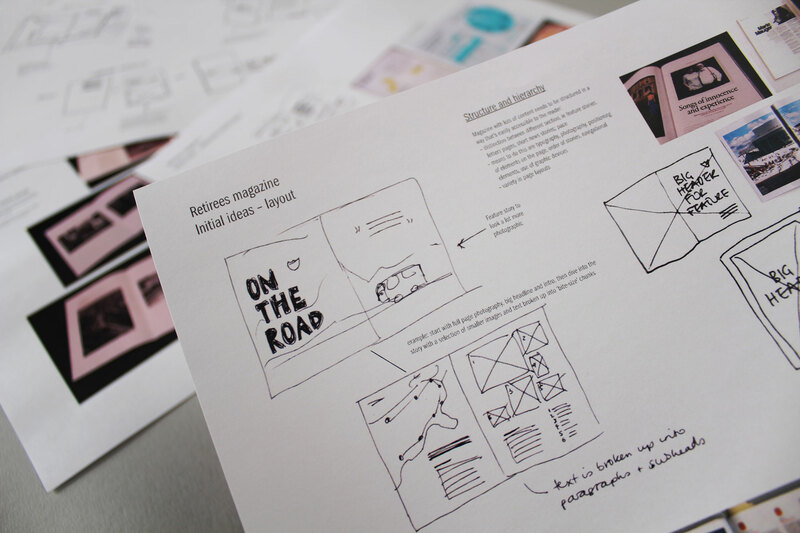 Our creative team creates ideas around content flow and context. 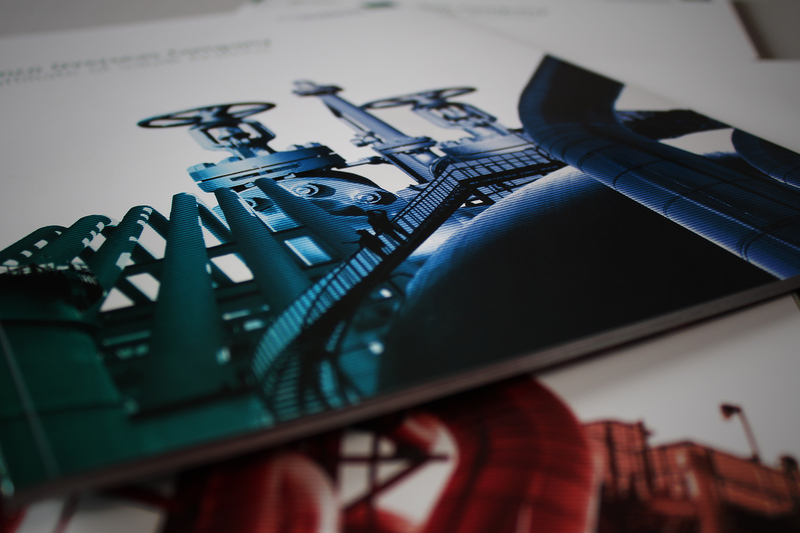 We have created a number of publications for AOC across a wide audience. Alaela is aimed at retirees and AOC alumni. The key to the communications is bright, engaging text and imagery. A great deal of the material contains heartening cultural and human stories about life behind the employees. The strong editorial focus breaks the pace of the publication blending poetry with prose. The images play as much of a part as the text in creating an informative and enjoyable read. Diwan - A place to gather - Is a magazine geared towards learning within the Aramco environment, aimed at graduates and junior staff. We have created a strong story based feel in the publications by using bold chapter pages, supported by full bleed imagery. All the imagery has carefully been selected from AOC to create a realistic yet quality feel. Along with the standard brochure format, we have also introduced swatch type finishing techniques. The publications carry easy to read snippets, which help break up the read. When creating layout templates, we have designed the page styles to be variable and interchangeable - Making sure the content works at a grass roots level. The editorial content is informative, light-hearted and approachable - Encouraging a high readership. 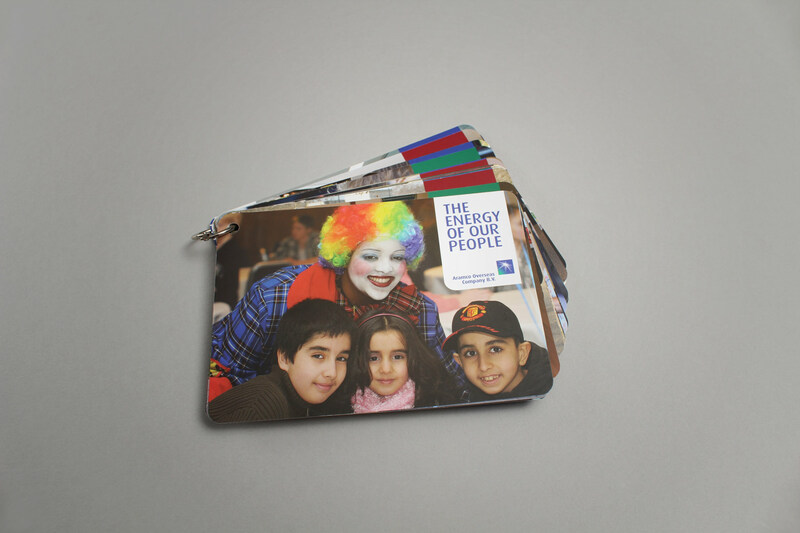 The publication capitalises on the large volume of imagery produced by the employees and the efficient PR department. 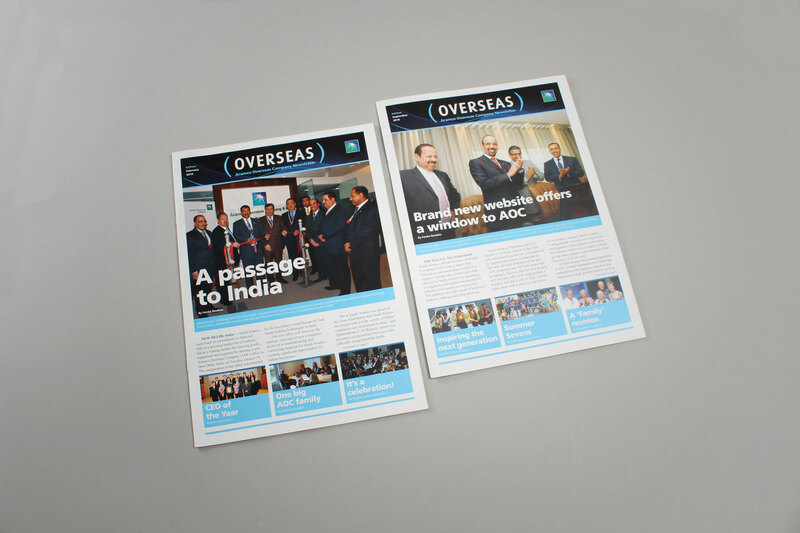 The strong and bold Overseas masthead and cover identity creates strong recall amongst the employees of the business. 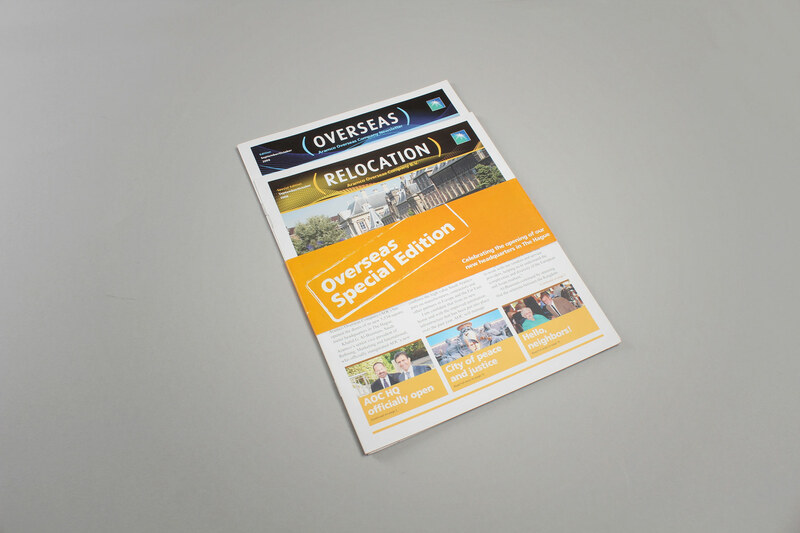 With the structured approach in place, we have also been able to produce special print editions - Such as this one here, a double edition with wrap to celebrate the AOC move to new headquarters in the Hague. 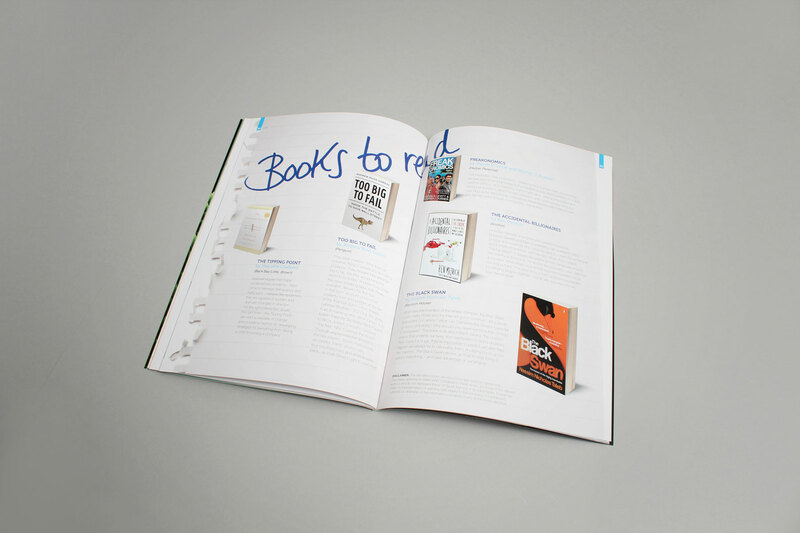 The visually striking illustrations were balanced against clean, simple typography and well structured layouts. 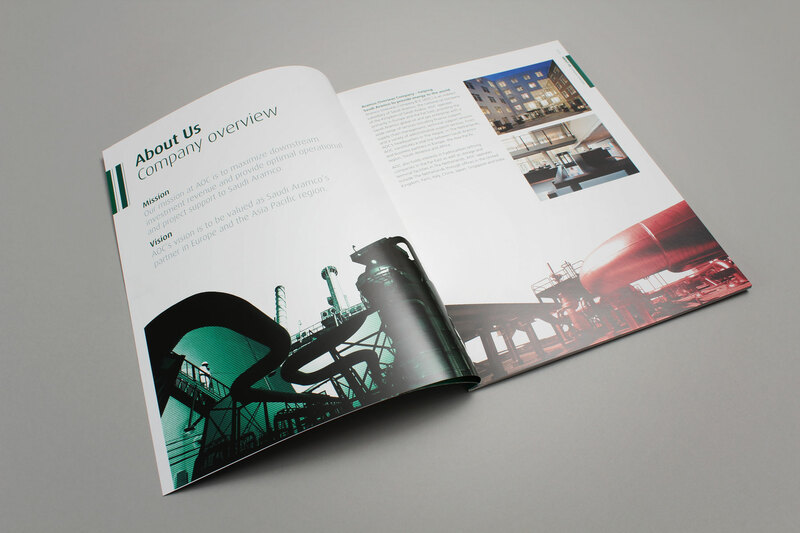 Following several successful projects for AOC, we were asked to redevelop their existing corporate brochure which would go out to anyone with an interest in the company. The brochure was to become the flagship publication and would need to be a platform for the businesses global operations. We worked together with the client on developing a comprehensive pagination plan, which enabled the communication of a wide breadth of content. Firedog developed a collage illustration style after discovering the client had many photographic assets from all over the world at their disposal. 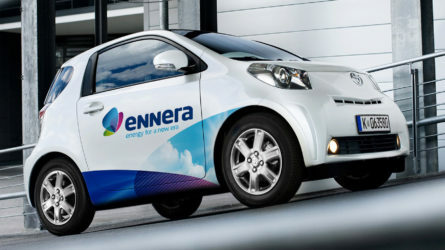 The style allowed for photos to be sourced from a broad range of sources and whilst introducing the corporate colour palette. The visually striking illustrations were balanced against clean, simple typography and well structured layouts. 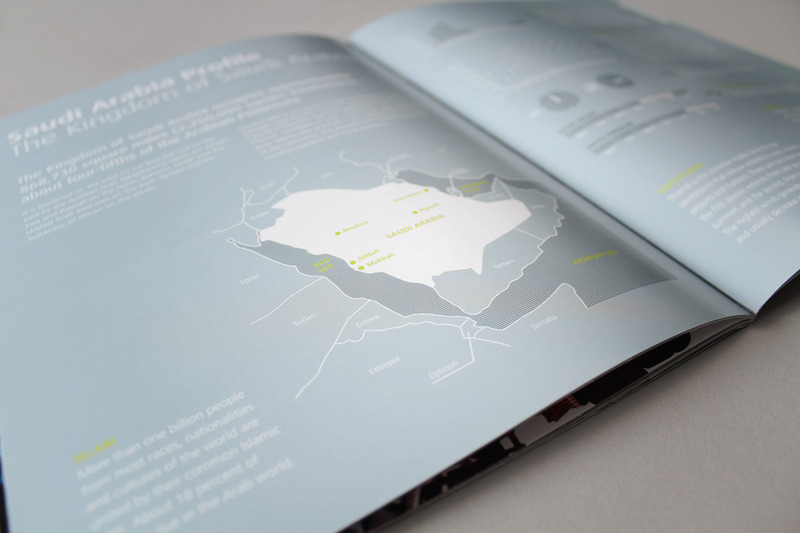 The brochure also contained a section on the geography and region of Saudi Arabia, with charts and graphs communicating the culture behind the global business. The brochure has been well received from both within and outside the business and has raised the profile of the AOC across the globe. 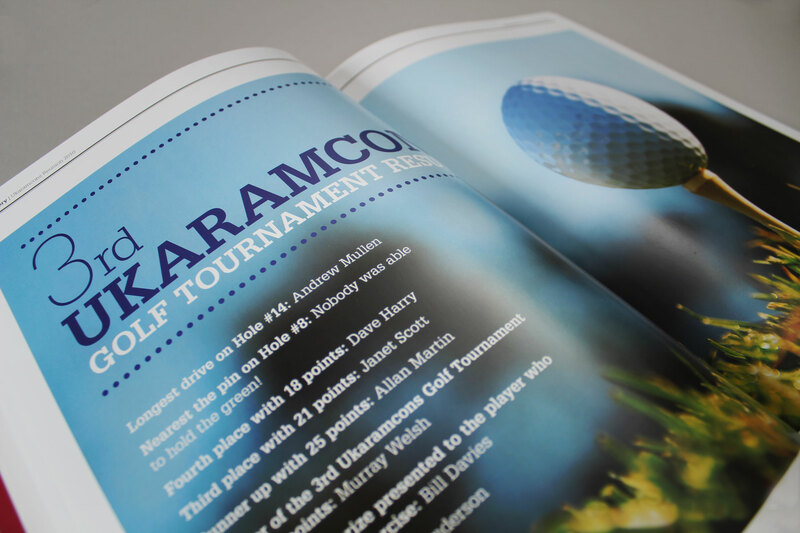 Firedog created flexibility by utilising more editorial devices, varying layouts and typographic styles. Aramco Overseas Company prides itself on being akin to a family (which is understandable given that some employees stay with the company for 35 years!) and one aspect of this is that many ex-employees keep in touch. 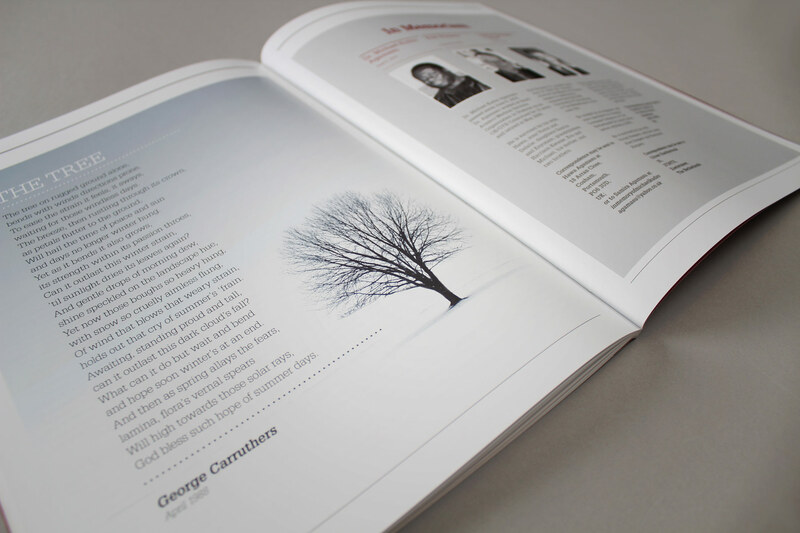 We have been commissioned to create a series of publications designed to communicate to a wide audience formed of diverse readers – from retirees to graduates. 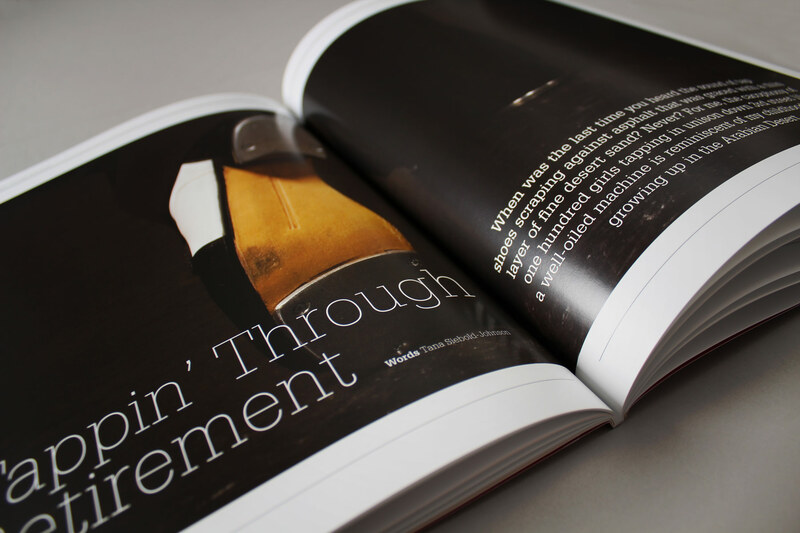 The magazine needed to take a big step away from an overly corporate look and feel. With Alaela, the magazine created for the business’s retirees, we produced the magazine using a selection of content straight from the retirees themselves. The magazine needed to take a big step away from the corporate communications in look and feel, whilst being flexible enough to work with incredibly varied imagery and content. 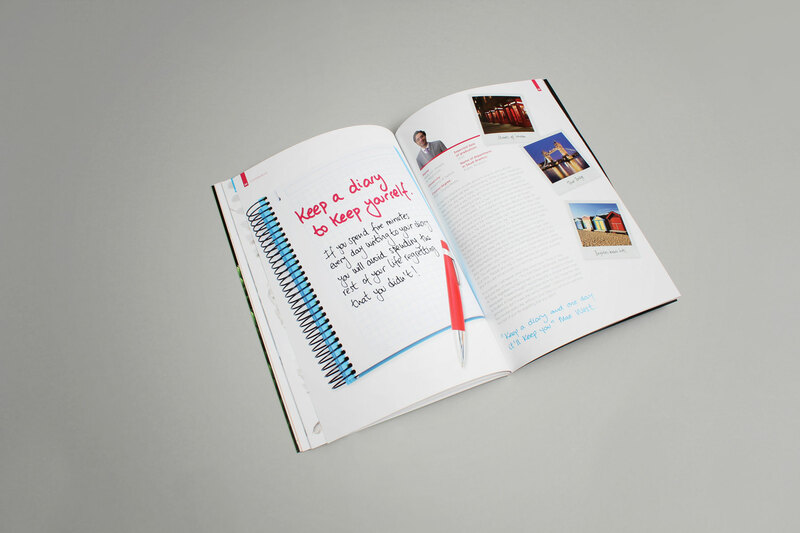 Firedog created this flexibility by utilising more editorial devices, varying layouts and typographic styles. The dynamic usage of imagery and type keeps each article looking fresh. 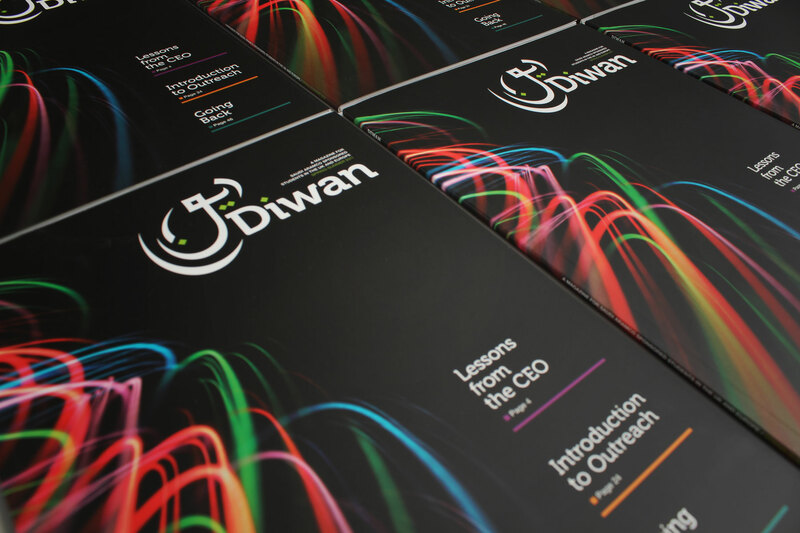 The Diwan brochure is aimed at graduates first engaging with Aramco. The same approach has been applied to the sister publication, Diwan, which is aimed at graduates first engaging with Aramco. With Diwan, the content comes from staff within Aramco and also from graduates gaining work experience. The whole feel is that of a journal – Both informal and informative. The publications, which were initially created as a once off, have become highly valuable to the readers. This has allowed us to up the frequency so that we are currently releasing two versions of each every year. Firedog was invited to pitch for the contract to design and produce the Overseas internal newsletter. 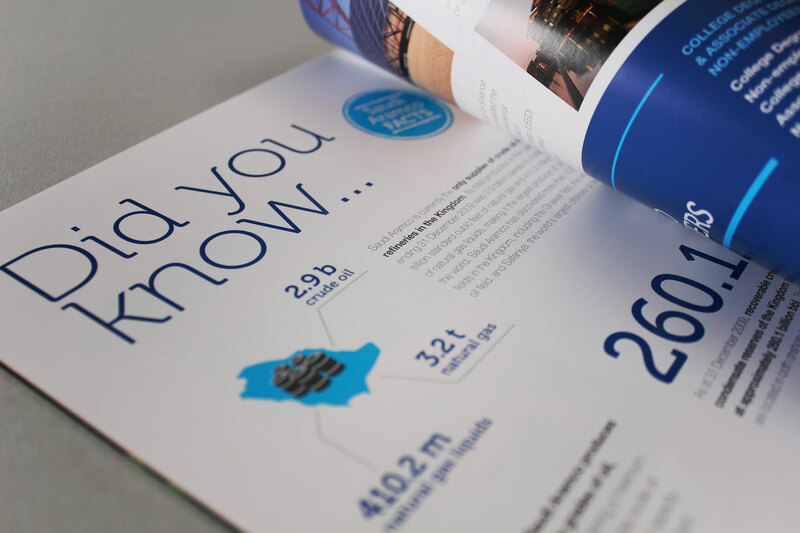 After winning the contract, we were tasked with designing the communications publication template and producing it quarterly across the year. 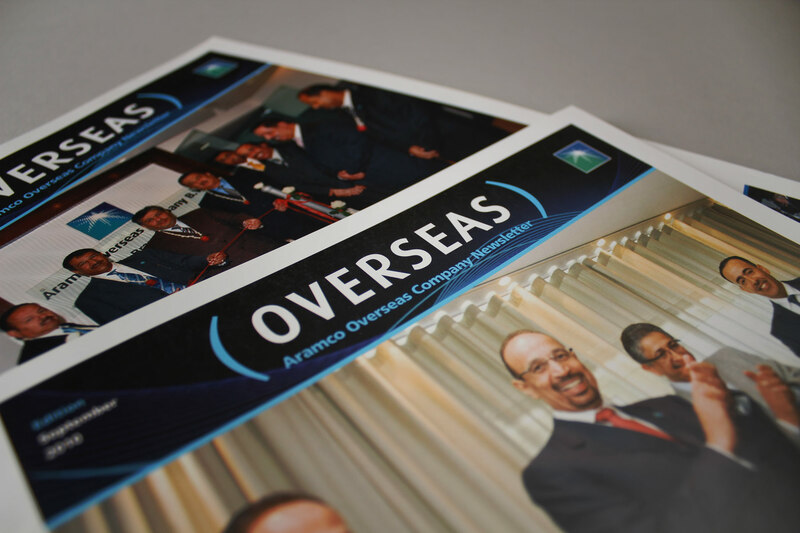 After rolling out three highly successful and creative editions of the newsletter, Aramco Overseas decided to invest in a greater frequency of editions, and we moved to designing and producing the publication on a bi-monthly basis. 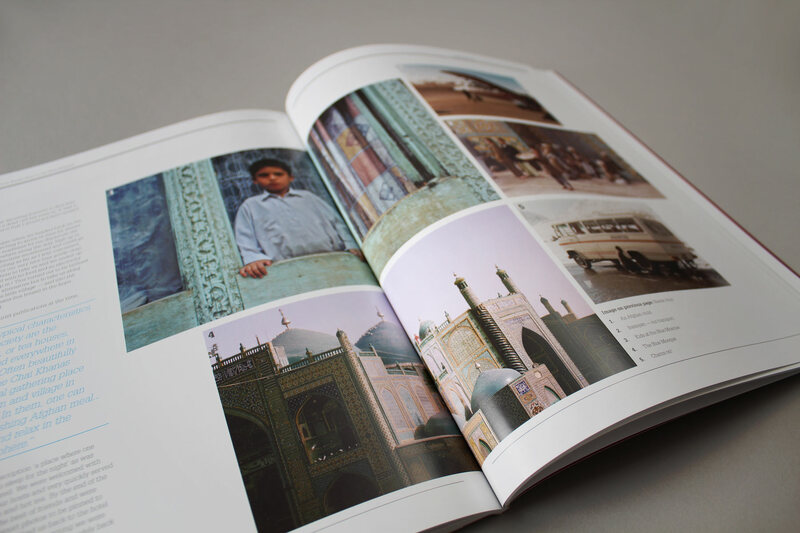 Rather than being restrained purely to the corporate guidelines, and due to the internal audience, we have created each edition with editorial style features which ensure an entertaining and engaging read. We have also created a special double edition, celebrating and documenting the company’s return to the original home in the Hague, after moving from Leiden.